FALL SPECIAL | Up to $100 in Napoleon Accessories FREE! From now until the end of the year, you can get up to $100 in Napoleon accessories FREE when you purchase a Napoleon grill from our showroom. We have a limited supply, and this offer applies to in-stock grills only―so hurry in and take advantage of this opportunity! Heartlands carries a variety of Napoleon grills and accessories for you to view and purchase. 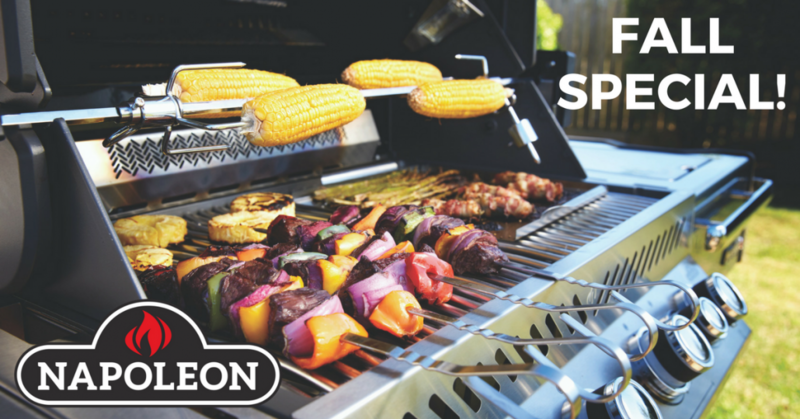 Visit our showroom anytime Monday – Friday from 8 a.m. – 5 p.m. to shop for your grill and complementary accessories. If you have any questions regarding this offer, feel free to contact us.